I've always been fascinated by yachts and boats and the sleekness of them and how they move through the water. From an early age, I loved the way the light fell upon the rounded shapes while they floated on moving ripples of dappled light and so I've been drawn into painting and drawing them for many years. 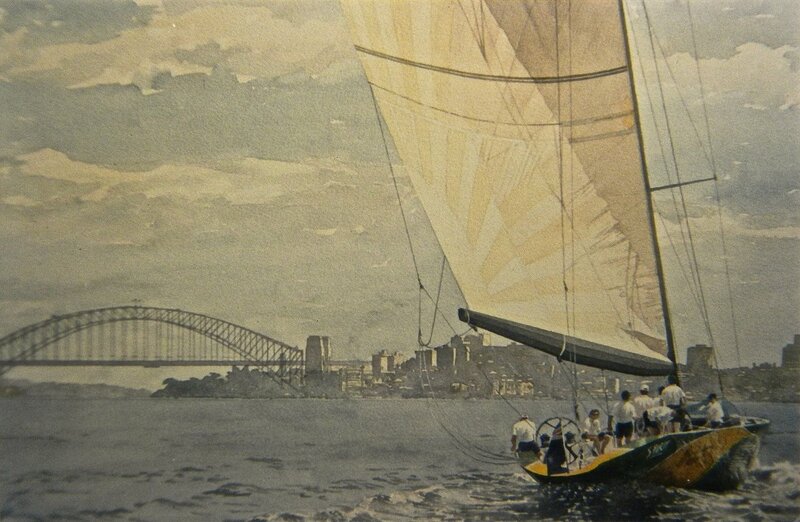 This painting was done while in Australia when the America's Cup was the only topic in the news-I can't remember who won.